I made a "blueprint" from a Manet still life, "Moss Roses in Vase, 1882," some time ago. 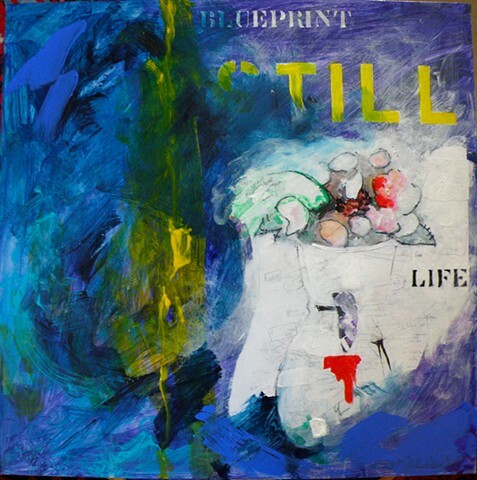 I had created a couple of monotypes from it, but the idea of light coming through and "moving" the "still" life hadn't really come to me, yet. I have re-worked this painting into "Stereoptical Study XI: Still Life."